NOTE: THIS EVENT HAS BEEN RESCHEDULED TO SUNDAY, FEBRUARY 5! 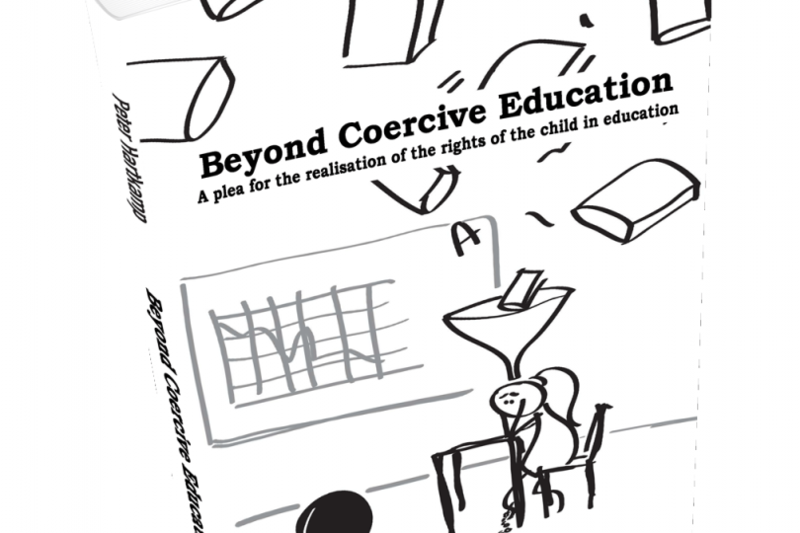 Join us for a Facebook discussion on Peter Hartkamp’s book, Beyond Coercive Education: A plea for the realisation of the rights of the child in education at 10am (U.S. Central/5pm European Central) on February 5, 2017. We will stream the chat live on our Facebook page: facebook.com/educationfutures. Many children and parents experience problems with school and in politics education is an often recurring subject. The discussions on how education can be improved did not change over the last 100 years. They focus on the details of the educational practice and do not result in the necessary and fundamental change. The underlying assumptions of education are almost never discussed. This book argues that the essence of the current education system is based on the needs of the society of 200 years ago. It describes a number of myths in education, such as: more education is better, teaching is learning, tests lead to better education, children need guidance, teachers are regarded as a professionals and children do bully. These myths cause great suffering for children and inhibit learning and development. It seems the Rights of the Child stop at the front door of the school.